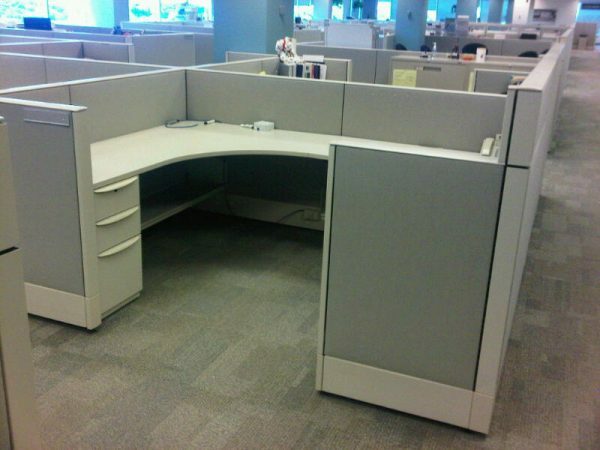 Haworth Enhanced Premise 6×8 Cubicles with 42″ high panels. Each station has a BBF pedestal and 2-drawer lateral file, both are locking. This stations have (2) closure panels and power down the spine with base-in power feeds. Very good as-is condition. Sold in 10-packs.